Welcome to the Aphasia Threads Project, which weaves together three points-of-view: people with aphasia, caregivers, and the professionals who help each family navigate aphasia. Each week, we bring together three unrelated stories, one from each member of this triad, to learn from their experience. 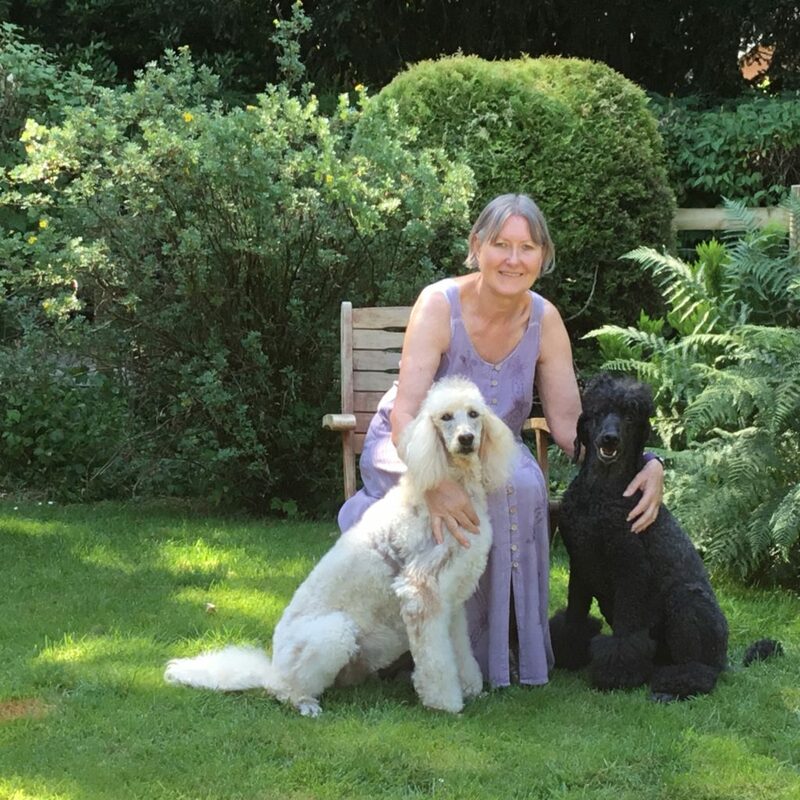 This week, we’re hearing from Debby, a person with aphasia, who has aphasia after a series of mini-strokes. Then, we’ll hear from Julie, who is a caregiver for her sister. Finally, we’ll hear from John, a speech-language pathologist at Santa Rosa Speech & Language Services. I had a series of mini-strokes (not TIAs) that gave me aphasia. I was not even aware I was having them. When I went to my doctor, I mentioned that I had been muddling up my words and unable to finish sentences, but it had gotten better after about two weeks. He ordered an MRI scan, which showed I had these strokes (hyperintensities) and had mild-to-moderate brain disease. Originally it was very frustrating. General short memory loss and aphasia affected every part of my life. Now, both have improved and I just get on with life. I don’t have problems with relationships. My best advice would be to tell people you have a problem with words. If you need to tell someone something important, such as during a doctor’s visit or making a phone call with important information, write it down beforehand. I find reading out what I have written reduces the chance of saying an incorrect word or sentence and reduces the stress, too. Also, reduce your stress level. I am very fit, not overweight, walk 30-plus miles each week. For me, this reduces my aphasia. Be patient, be positive, move on with your life and be prepared to make changes. Don’t complete my sentences and give me time to speak, rather like someone with a speech impediment. Remember that intelligence hasn’t changed in a person, only how the thoughts are expressed. My 59-year-old sister had a stroke one morning. She woke up and could not speak after surgery to remove the clot. The doctors and nurses tried to tell us that she had aphasia and apraxia, but I did not believe she wouldn’t be able to speak again. She did not believe it, either. Every day, she awoke more determined than ever and worked harder than the day before to get her voice back. It took me about six to nine months to finally accept that things had changed for my sister, her family, me, and our family. Before the stroke, our relationship was a bit strained. After the stroke, I became her voice, her support, her tutor, her advocate. Many times I was her interpreter just by following what her train of thought would be in a situation and anticipate what her feelings and thoughts would be. 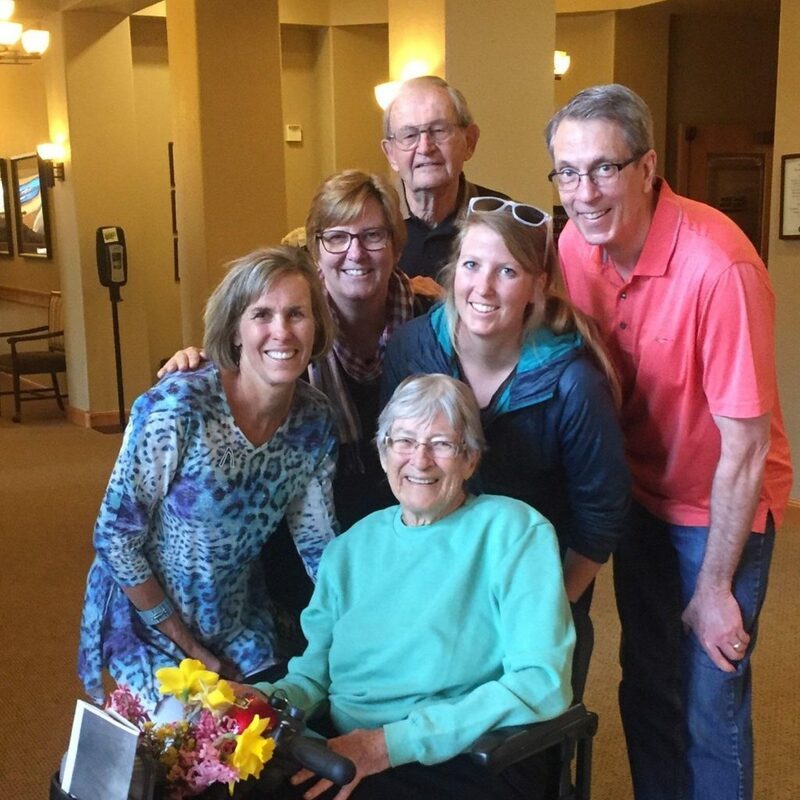 In groups when listening and speaking can be a greater challenge and more exhausting to those with aphasia, I reminded others to speak slowly, to quiet their voices, to give my sister time to form her words and thoughts. I worked as her teacher seeking exercises, programs, books, and tools which were appropriate for the level my sister was at. We prepared and practiced flash cards, wrote and practiced letters, numbers, sounds, words, and sentences. My sister watched my mouth carefully to see how the sounds I made were formed. I was her support when we went to events, to stores, to classes together. I tread cautiously between the line of talking for her and giving her the least amount of support necessary to allow her to express her thoughts, questions, or needs. This line changed constantly. I had to watch my sister, look in her eyes, and interpret what I thought she was telling me about her need for my help in that specific moment in that situation. I learned to read her feelings and emotions with a quick glance to her eyes. We have found new hobbies to enjoy together and renewed our love for other things we shared in common. My sister enjoys music therapy and likes to put sentences and phrases to a melody to practice them. The apps and tools that she needs and uses have changed as she has progressed. She used a small whiteboard to write her word before she could speak the entire word, or initiate the beginning sounds. We share books which she reads by listening to it on Audible while reading along in the hard copy. At home, I read the book on my Kindle! Slow down. Be patient. Look into the person’s eyes and read the communication that your loved one is trying to send to you. Find a support group to share your challenges and successes with and learn from them. Recognize the hard work of your loved one. Learn to celebrate small successes. Remind your loved one of the progress they have made. For the caregiver, aphasia is so much more than a one-hour session two or three times a week. In addition to the testing and scheduled lesson, make sure you ask the client and caregivers what things they want to be able to communicate in their daily life and include practice and tools for those, too. And to everyone, please be patient and kind. Remember that you are not alone if you have aphasia. Aphasia is a very lonely journey for the patient, the caregiver, the family, and friends. Be gentle, patient, and kind with all involved. There will be bad days. There will be great days. There will be days you wish you could do more. Do what you can do. Ask for help. Invite your loved one’s friends to come for a visit. It is lonely and scary for the caregiver. It is so much more so for the loved one. John works at Santa Rosa Speech & Language Services in Santa Rosa, California. He’s a featured affiliate. I consider myself a medical speech-language pathologist which began in my doctorate training at Stanford University Medical School. Over the past 59 years, I have focused on treatment(s) for aphasia. I often observe the results of neuroplasticity. Patients and clients often state that recovery is so slow. Some people with aphasia resist alternate communication methods. They want to talk! Joy is found in the progress that ultimately occurs. One-on-one therapy is necessary in the beginning. Ultimately, a patient or client can transfer to additional help in our group. Patients become tired with paper and pencil tasks; therefore, an app, such as ConstantTherapy, can add the required home carryover. The majority of stroke survivors with resultant aphasia are older. They are very grateful for speech-language help from a speech-language pathologist. A speech-language pathologist is specifically the professional highly trained in identifying aphasia, establishing goals, and providing the necessary therapy. Aphasia Threads is an on-going project created by the National Aphasia Association. If you’d like to be featured, don’t leave a comment. Instead, please read the opening post for more information or fill out our form and we’ll contact you.. Dealing with Aphasia as a caregiver is challenging. Dealing with a loved one with Primary Progressive Aphasia is extremely hard. As the patient goes from lack of speech to memory loss is heartbreaking. So glad for your website and support. Encouraging to hear how other caregivers are handling the challenge. I had a stroke in 2013 and I now have PPA since 2years ago. Have you ever heard the timing of the change going on from stroke to PPA in a short amount of time. I had speech therapy last year and recently went to Mayo Clinic in Scottsdale/Phoenix Az. I now can speak slowly and the words sometimes can come out wrong. The Speech pathologist thinks I have apraxia and my neurologist says I have Primary Progressive Aphasia. I have a hard time taking those memory tests…I feel like a failure if I miss one thing. Help!